This "V" shaped cup is approx. 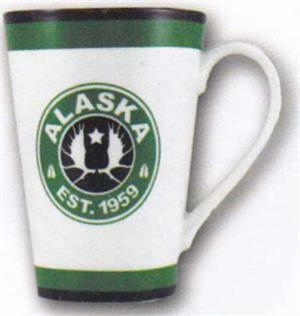 5 inches tall and features the text "ALASKA" "EST 1959". Holds 14oz.